The Greek Private Capital Company and recent legislative initiatives to meet current business requirements. According to the Greek legislation, the following types are the main capital company formations for conducting business in Greece and are usually preferred over entrepreneurships, in principal due to the limited liability of their shareholders : (i) the Greek limited liability by shares company (“Societe Anonyme” – “SA”), (ii) the limited liability company (“EPE”), (iii) the Private Capital Company (“PCC”- “I.K.E.”) and (iv) the European company (“Societas Europea” -“SE”). While the SA has been for years the most common company formation in Greece, recently the P.C.C. has started to gain significant ground due to fewer formal requirements for incorporation that enable its operation literally few days after its registration at the Business Register. Introduced in Greece in virtue of the law n. 4072/2012, the P.C.C is incorporated pursuant to a simple private agreement signed by its founders. The articles of association are included in the agreement and can be customized according to the special needs or objects of the desired business. The agreement for the company’s incorporation should then be filed with the competent – determined by the place of the company’s registered seat and main business activity – Business Register and the whole procedure for the company’s establishment is completed at the One-Stop-Shop department of the Business Register, within 10-15 days after the submission of the required documentation. Simultaneously with the company’s registration at the Business Register, the company is also directly registered at the Greek Tax Authorities, obtaining a Tax Identification Number, which is necessary for starting conducting business according to its objects. For any amendments to the articles of association or for any shares sale and purchase agreements thereof during the lifetime of the company, a simple private agreement suffices; amendments to the articles of association should be also filed with the Business Register and they come into force upon their registration. The articles of association of a P.C.C, any amendments thereof and the shareholders’ resolutions could be drafted in one of the official EU languages, but the Greek version shall prevail concerning relations between the company and its shareholders on one hand and third parties on the other hand. The founders of a P.C.C. resolve upon the amount of the share capital, without any limitation as per its minimum amount (this could be even zero). Since the previously imposed tax of 1% on the company’s initial share capital has been abolished (according to law n. 4254/2014, yet remaining for any share capital increase), actually there are not any restrictions towards determining the initial share capital, apart from that this should be deposited at the company’s treasury or bank account within 30 days of registration. Regarding management, the P.C.C. is managed by one or more administrator(s), whose powers of representation are determined in the articles of association and by the shareholders’ resolutions. The administrator should be a natural person/individual, Greek or European citizen holding a Tax Payer Identification number in Greece, and in case of a non-European resident, a Visa is normally requested (Visa-D for business executives), according to the provisions of law n. 4251/2014 (Greek Immigration and Social Integration Code). The administrator should be also registered at the Greek social security system and pay the respective social security contributions. The administrator is liable towards the company for any breach of the company’s articles of association, of the law or of the shareholders’ resolutions, as well as for any damage caused as a result of breach of duties. Such liability does not exist in case of actions or omissions based on a lawful resolution taken by the shareholders or on reasonable business decision, conducted in good faith, based on sufficient information and only towards the corporate interest. If more managers acted together, they are jointly and severally liable. The shareholders may discharge the administrator(s) from any and all liability during the annual General Meeting of the shareholders which resolves upon the approval of the financial statements of the previous fiscal year. As per the reporting requirements, apart from obligation to file with the Business Register any amendment to the articles of association as well as any resolution taken by the shareholders or the administrator that should be filed according to the law, the annual financial statements should be also filed with the Business Register and then approved by the shareholders. Greek Law n. 4403/2016, which incorporated into the Greek legal system the EU Directive 2013/34/EC, has recently introduced several developments concerning the commercial companies’ financial statements by regulating their preparation and publication based on their classification, aiming at the facilitation of cross-border investment and the improvement of Union-wide comparability and public confidence in financial statements and reports through enhanced and consistent specific disclosures. This regulation, which is applicable to all capital –by shares – companies, attempts to balance between the interests of the addressees of financial statements and the interest of undertakings in not being unduly burdened with reporting requirements. The main advantages of the P.C.C. and the flexibility for its incorporation and operation are obvious when compared with the corresponding legal requirements for the incorporation of a Societe Anonyme (“SA”); governed by mandatory legislation (“ius cogens”), i.e. the codified law n. 2190/1920, the Greek SA is incorporated through a notarial deed, executed before a notary public in Greece, which includes the company’s articles of association. The share capital should be always indicated in money even if the shareholders’ contributions consist in kind. The share capital, which should be at least 24.000,00 Euro, must be paid either in cash or in kind within two (2) months after registration. After the execution of the notarial deed for the incorporation, the company should be registered at the competent Business Register and upon its registration, it acquires legal personality. The rest of corporate documentation (minutes of General Meetings of the shareholders and minutes/resolutions of the Board of Directors) do not have to be notarized, except for the General Meetings of the Shareholders in case of one sole shareholder. The SA is managed by a Board of Directors, consisted of at least three members, which may be either individuals or legal entities (in such case for the exercise of management a representative should be appointed). There is not any restriction as per the nationality or residence of the members of the Board of Directors. It should be noted that for some specific activities, SA is the only available company type according to the law and several parameters, beyond the abovementioned basic framework, should be taken into consideration in order to decide upon between P.C.C. and S.A. The Business Register in Greece has been recently reformed providing access to the existing data base via its website (www.businessregistry.gr), which can be used both by the registered businesses and the public. Until the full integration of all Greek companies/businesses at the general Business Registry at the end of year 2012, different registration systems and registers existed for each company/business type. Thereupon, the reformation of the Business Register has facilitated significantly the capability of the companies to comply with their reporting obligations under the law through its portal (www.businessportal.gr) but has also enhanced the actual publicity of the companies’ data, as required by the law, and thus has reinforced the transparency and the security of the transactions. Through the platform www.businessportal.gr any business can carry out the entire procedure for submitting a registration request to the Business Register, filing the necessary documents and payment of the relevant fees. The processing and verification of any request as well as the completion of registration are also conducted electronically through the system. Recently in virtue of Greek Law n. 4441/2016, “e-One Stop Shop” has been introduced. This new, modern institution aims at the incorporation of the most popular types of companies in Greece, through a procedure completed entirely on an electronic platform practicing techniques like “e-ID Authentication Process” (EU REG 910/2014), links between other e-platforms like “TAXIS” (Greek Tax Online Platform) and taking all necessary actions in order for a company to be incorporated online, thus accelerating and facilitating business and corporate activity in Greece. The combination of a single general Business Register with the establishment of the one-stop-shops for the incorporation of companies constitutes a major step towards simplification of the basic procedures of the Greek business environment, aiming to meet the needs and requirements of the parties involved and the effective use and exploitation of information collected. In 2017, Greece while being at the heart of the economic recession affecting all financial markets globally and especially EU, struggles to keep up with the current requirements in business activity, by amending its relevant legislation towards the modernization of its corporate, tax and business system thus making great efforts to further promote productivity, investment and employment. Newly introduced, flexible, corporate forms like P.C.C, new institutions and platforms like the Business Register where most of the ordinary corporate actions are completed online, constitute the modern ‘’tools” provided to any entrepreneur who wishes to make business in the country, forming an effective solution by putting in place a flexible framework which can reduce obstacles to the smooth functioning of the market, hoping to make Greece an attractive country not only to visit and explore but also to invest. Benefit corporations are for-profit companies that – in addition to maximize shareholder’s value and profits – undertake to expand their purpose to explicitly include the creation of public benefit and the commitment to carry out their activities in a responsible, sustainable and transparent way, in favour of persons, communities and environment. They are being introduced in some legal systems to meet the global trends demanding greater accountability and transparency from business and stimulate a new role that business can and should play in society. Italy is the first country after US to have introduced in its legal system (Law n. 208 of December 28, 2015, hereinafter “Law”) the so called “società benefit” (hereinafter “SB”). The main characteristics of the SB are taken from the US benefit corporation, which was firstly introduced in the US legal system in 2010 in Maryland and then in other 29 US States. The distinguishing features of the Italian SB are: (i) the legal duty to create general public benefit in addition to financial return; (ii) to carry out its activities in a responsible, sustainable and transparent way in favour of persons, communities, environment, cultural and social activities, associations and other stakeholders (hereinafter collectively “Beneficiaries”); and (iii) the impact of the SB’s activities must be assessed annually by the directors with a written report, and must take into account the requirements set forth in Annex 4 to the Law. The Italian legislator did not create a new form of corporation but provided for that any company can change its status and become an SB. It is the intentional creation of social and economic benefit that differentiates the SB from traditional for-profit and non-profit entities. In an SB the directors are committed to pursue the general benefit, while the market and the public must be correctly and transparently informed on how the corporation is achieving its goals. What are the advantages of becoming an SB? Benefit corporations can help meet the demands of those who are interested in having their business help solve social and environmental challenges. Becoming an SB can also help the company to grow its business and market share, since an increasing number of consumers expect companies to act and align their policies to a sustainable growth, to take into consideration not only profit but also values like the need of social communities and the impact on the environment. The activity/ies of public benefit selected by the SB must be specifically indicated in the SB’s bylaws and must be achieved taking into account and balancing both the shareholder’s interest and the interest of the Beneficiaries. The SB must achieve a general public benefit (“beneficio comune”). This is defined both to induce a positive impact or reduce the negative effects on the Beneficiaries and other stakeholders (“altri portatori di interesse”). Other stakeholders are the persons or groups who benefit from the SB’s activities, such as workers, customers, suppliers, financial backers, creditors, public administration and civil society. The SB must prepare annually a report (to be attached to the yearly financials) where it assesses the impact of its activities on the general public benefit. The report must be published on the SB’s website. The report must include: (i) a description of the ways and actions implemented by the directors to purse general public benefit during the year and any circumstances that have hindered or delayed its creation; (ii) an assessment of the SB’s performance determined taking into account the standards outlined in the EAS; (iii) a section outlining the new goals that the SB wants to achieve in the following year. The report must be prepared applying a third-party standard (“standard di valutazione esterno” or “EAS”) that must be: (i) comprehensive because it assesses the effects of the business and its operations upon the general public benefit; (ii) developed by an entity that is not controlled by the SB; (iii) credible because it is developed by an entity that both: (a) has access to necessary expertise to assess overall corporate social and environmental performance; and (b) uses a balanced multi-stakeholder approach to develop the standard, including a reasonable public comment period; (iv) transparent because the following information is publicly available: (a) the criteria considered when measuring the overall social and environmental performance of a business; (b) the relative weightings, if any, of those criteria; (c) the identity of the directors, officers, material owners, and the governing body of the entity that developed and controls revisions to the standard; (d) the process by which revisions to the standard and changes to the membership of the governing body are made; (e) an accounting of the revenue and sources of financial support with sufficient detail to disclose any relationships that could reasonably be considered to present a potential conflict of interest. The EAS is not to be confused with the B Lab certification that – contrary to the EAS – is not mandatory. An SB can become a B Corp (Benefit certified corporation) by meeting the B Lab standards and obtain the relevant certification. B Lab is a non-profit organization that serves a global movement of people using business as a force for good. The assessment of the effects of the SB’s activities, must include the following areas: (i) SB’s corporate governance: so that to assess the degree of transparency and commitment of the corporation for the achievement of the benefit indicated; (ii) employees: to determine the relationship with workers and associates in terms of salary, other benefits, training opportunities, quality of the workplace, internal communication, flexibility and health & safety at work; (iii) other stakeholders: to assess the relationship of the corporation with suppliers, the territory and local communities, charity activities, donations, cultural and social activities and any other actions implemented to support the local development and the SB’s supply chain; (iv) environment: to assess the impact of the SB’s products and activities regarding the use of resources, energy, raw materials, the manufacturing, logistic and distribution cycles, the use, consumption and disposal of the products. In addition to the general duties that directors have under Italian corporation laws, the SB legislation set forth specific duties that SB’s directors must comply with. Section 380 of the Law set forth that the SB must be managed in way to balance the interests of shareholders, the pursuing of the general public benefit and the interests of the other Beneficiaries. The corporation must appoint the person/s who shall have the responsibility to achieve the goals indicated, who can be one of the directors but also an officer of the corporation or a third party, taking however into account the general duty that directors have to put place a corporate governance structure that is adequate for the dimensions and nature of the corporation. If this duty is delegated to a third party, it is appropriate that the delegate has enough experience in the specific sector that the SB has chosen for achieving the general benefit. SB’s directors (like directors of any other corporation) must act in the best interest of the corporation and in compliance with the obligations set forth by the law and the corporation’s bylaws. Directors have a duty of care, duty to act knowledgeably (for example, with the appropriate skill and professionalism) and to monitor the actions of the other directors. The extent of these duties and responsibilities and the standard of care required for each director depend on the director’s office and specific expertise. Directors may have civil liability duties towards: (i) the corporation, if they have caused damage to that corporation due to the breach of the law, the corporation bylaws, or the general duties; (ii) the corporation’s creditors, if the directors have breached the specific rules regarding the preservation of the corporate assets, and those assets are insufficient to pay the creditors off; (iii) each shareholder and each third party, if they have suffered direct damage from an act performed with fraud or gross negligence by the directors. As to the SB, it is questionable and still to be assessed by jurisprudence, whether directors can have any liability towards the other Beneficiaries. In any event, directors are not accountable and responsible for the negative results of the corporation provided that their decisions were taken with adequate diligence and with the goal of achieving the corporate object. SB’s directors are however liable in the event they fail to appoint a person who has the duty to supervise, control and be responsible to implement all actions necessary to achieve the general benefit. The Law does not provide any sanctions for failure to prepare the annual report but, since this is mandatory obligation, directors shall be liable also in this latter case. The Law set forth that the SB which fails to achieve the general benefit indicated, is subject to the sanctions established by Legislative Decree 145/2007 (governing unfair competition and misleading advertising) and by Legislative Decree 206/2005 (the so called Consumer’s Code, with particular reference to the rules regarding the prohibition of unfair commercial practices). This provision was enforced in order to guarantee that all information disclosed to the public are true and accurate so to avoid that an SB that does not comply with the Law, take any illicit advantage with respect to its competitors as well to avoid any distortion of the information provided and disclosed to consumers. It is the Italian Competition Authority (Autorità garante della concorrenza e del mercato) that shall have the duty to sanction any non-complying SB, with administrative sanctions provided for by the law. Representing early stage, high-growth companies often involves supporting a team of entrepreneurs to take a business from an idea, through commercial launch and market penetration, to a successful exit, often through an acquisition by a strategic or financial purchaser. The speed and intensity of the client’s activity can be tremendous. Under the pressure of achieving critical product development or revenue milestones – often driven by the client company’s investors – management will sometimes forego certain basic contracting, human resources and capitalisation management measures. Unfortunately, these short cuts will surface during the exit transaction, where the acquirer’s due diligence on the target company will spot these shortcomings in order to identify potential risks as well as opportunities to revalue the target company’s assets and business and reduce the purchase price. The attorney representing the early stage company can streamline the exit transaction and minimise adverse due diligence discoveries by helping the client institute the following four relatively simple disciplines at the company’s outset (or at least at the outset of the counsel’s engagement), well in advance of any merger and acquisition considerations. Protect and Preserve Company Intellectual Property. For many early stage companies, intellectual property assets can represent the core of the company’s value at exit. Those assets, of course, are generated by employees and contractors working on behalf of the company. In the course of the company’s history, employees and independent contractors come and go. However, sophisticated acquirers will often probe the target company’s files for potential intellectual property “leaks” or gaps – situations where employee or contractor inventions or developments may not clearly belong to the target company.The simple but often neglected solution to this due diligence red flag is drafting and religiously using a standard employment agreement or independent contractor/consultancy agreement with all new employees and service providers. These standard agreements should contain the following basic covenants:I. Confidentiality: Provisions prohibiting an employee or independent contractor from disclosing or otherwise using the company’s confidential information both during the relationship and for multiple years beyond the term of the agreement.ii. Invention Assignment: Provisions indicating that all “inventions, original works of authorship, trade secrets, concepts, ideas, discoveries, developments, improvements, combinations, methods, designs, trademarks, trade names, software, data, mask works, and know-how, whether or not patentable or registrable under copyright, trademark or similar laws” developed during the term of employment or contractor service belong to the company. This covenant should similarly include an acknowledgement that all copyrightable material is a “work made for hire.” Note that company counsel should confirm the impact of the applicable state laws on these covenants. For example, the “work made for hire” clause should be excluded from independent contractor/consultancy agreements governed by California law, as California law dictates that individuals subject to this type of covenant in a services agreement may be deemed employees under the California Labour Code . Avoid the temptation to limit company ownership of employee or contractor developments to only those generated “on company time” or “using company resources.” This limitation will only act to invite ownership ambiguity – an unnecessary impediment in the acquisition due diligence process.iii. Pre-existing Intellectual Property Disclosure and Licenses: Provisions obligating employees or contractors utilising pre-existing intellectual property in their work for the company to (i) clearly identify the pre-existing IP and (ii) grant the company a perpetual, transferrable license to use, in the course of its business, any relevant pre-existing IP included in works created by the employee or contractor for the company. Facilitate Shareholder Decisions. The decision to exit the business will naturally require the approval of both the Board of Directors and the shareholders of the company. Minority shareholders who are no longer associated with the business, or who have a different perspective on the company’s direction and objectives, can seek appraisal rights, demand certain concessions, or take other steps to block or disrupt the transaction. While reverse merger structures can be used to minimise the disruption caused by dissenting minority shareholders, these structures increase both transaction costs and the potential liability to the target company.The pre-emptive solution here is a basic shareholder agreement, prepared and negotiated when the early stage company’s shareholder base is relative small and cohesive. The shareholder agreement should include the following elements:i. Dragalong Rights. Terms requiring minority shareholders to support and vote with the majority on fundamental company decisions, including a vote to sell the company and/or waive of appraisal rights.ii. Buy/Sell Arrangements. Structures that ensure that the equity interests of disaffiliating shareholders are (or can be) repurchased by the company or the remaining shareholders;iii. Joinder Provisions. Requirements that all new shareholders (including those acquiring their equity interests through the conversion of debt) become signatories to the shareholder agreement. Simplify Contract Assignment. A major factor in the acquired business’ valuation is the status of its contractual relationships with customers, vendors, strategic partners and other third parties, and how easily an acquirer can continue to take advantage of those contracts following the acquisition. Contracts that include non-assignability clauses – provisions requiring counterparty’s consent prior to assignment – can greatly obstruct this transition, particularly if the transaction is structured as an asset sale (vs. a stock sale or merger). At best, these clauses can delay a closing while the target company pursues the counterparty’s consent, who may see an opportunity to extract a contractual concession from a vulnerable target. At worst, the target company’s inability to obtain a counterparty’s consent may result in the termination or rejection of the contract by the acquirer, which can reduce the target company’s valuation.Since non-assignability clauses are often a standard part of the “boilerplate” sections of many agreements, and since solving the anti-assignment clause problem once the contract has been signed is difficult, if not impossible, company counsel should help the client implement the following prophylactic measures at the outset of the negotiations:i. Removal: Generally, the absence of a non-assignability clause in a contract allows both parties to assign the contract freely.ii. Change of Control Carve-Out: An exception that eliminates the need for the counterparty’s consent when the contract is assigned to a successor organization in the event of a merger, spin-off, or other reorganization, or any sale to any entity which buys all or substantially all of the assigning party’s assets, equity interests or business can eliminate the issue in an exit transaction.iii. Reasonableness Standard. As a fallback, incorporate a requirement that the counterparty’s consent to a contract assignment may not be “unreasonably withheld.” While this does not eliminate the need to secure the counterparty’s consent, it will impose a baseline legal standard which may facilitate the assignment negotiation. Maintain Good Corporate Capitalisation Hygiene. While cases of mystery shareholders appearing at the closing of an acquisition transaction are rare, confusion over the accuracy of the capital structure of the target company, as well as the identification of non-compliance with securities laws, can materially disrupt an exit transaction. Common causes of capitalisation problems most often relate to (i) failing to either register or file a registration exemption with the Securities and Exchange Commission and/or state authorities in connection with the sale of private securities issued by the target company to early investors, which are usually friends and family, (ii) issues involving the company’s equity incentive plan, including unsigned documents, unclear vesting schedules, and uncertain stock repurchase provisions and exercise; and (iii) overlapping and conflicting convertible securities, including securities with conflicting conversion terms or circular conversion formulas. Many buyers will avoid assuming any risks associated with an ambiguous capital structure or improperly issued shares, preferring instead to let the target company identify and resolve discrepancies before closing.As with the other sets of issues described in this article, the preventive solutions are straightforward and, in most cases, inexpensive:i. Comply With Applicable Federal and State Securities Laws in Securities Offerings: Most states and the SEC have numerous exemptions allowing early stage companies to issue securities without the need for a formal registration. The exemption process, however, often requires the issuing company to file a registration exemption with the appropriate securities regulator. Failing to file a registration exemption may not require the company to register its shares, but it may prevent the company from utilising a “safehabour ” in future transactions, including an exit transaction with another private company. Filing the necessary registration exemption forms will not only help ensure securities law compliance; it will also provide assurance to a potential acquirer that these registration exemptions will remain in effect in future transactions.ii. Invest in a Commercial Cap Table Management Software. There are a number of quality, low cost software solutions on the market that can help track and automate company cap tables and “date-stamp” capital structure changes, in order to allow for a simple analysis of capitalisation changes and confirmation of issuances.iii. Automate the Effect of Certain Equity Incentive Plan Triggers. For example, if a company’s restricted stock plan provides for the buyback of unvested shares if the employee terminates, the company’s repurchase of those unvested shares should occur automatically. Relying on the affirmative action of the company (and potentially the memory, or filing system, of the company’s executives) can result in inconsistent equity incentive plan operation and unintended equity ownership. iv. Create Pro Forma Models to Reflect the Terms of Convertible Securities. Going through the exercise of translating the terms of convertible securities – particularly where different securities are issued at different times to multiple parties – will help pressure test the conversion terms and validate that they function as intended. The foregoing measures, designed to minimise exit disruption, are neither difficult nor time-consuming. In fact, the most difficult task is often convincing the client company to expend the time, effort and resources to implement these disciplines, even years in advance of a potential exit. As noted above, it is ultimately time and energy well spent. The complex environmental regulatory regime in the United States can raise a variety of legal and financial risks in real estate or corporate acquisitions. Accordingly, lawyers should understand the nature of potential environmental liabilities for different transactions, the relevant facts, and how to structure environmental due diligence tools to provide clients meaningful advice. Environmental due diligence is not a “one-size-fits-all” activity. The type of transaction, and the client’s objectives, often dictate the appropriate scope of due diligence. Transactions take a variety of forms, such as the purchase or lease of real property, acquisition of the assets of operating businesses or facilities, stock acquisitions, corporate mergers and divestitures. In real estate acquisitions, primary environmental due diligence concerns include identifying potential contamination, and either protecting against cleanup liability or evaluating remediation methods. These transactions usually rely on Phase 1 and 2 environmental site assessments to identify contamination, help establish landowner liability protections, and assess cleanup strategies. Analyzing other environmental regulatory constraints on site development may also be prudent. Conversely, acquisitions of operating businesses or facilities, or corporate transactions such as stock deals and mergers, raise additional environmental due diligence concerns. These include evaluating the target company or facility’s regulatory compliance status, the availability of permits to conduct and grow the business, and capital and operating costs needed to achieve compliance, implement permit conditions, and satisfy other environmental requirements. For these deals, evaluating regulatory compliance and permitting issues may be equally, if not more, important than contamination concerns. In the U.S., fear of liability for contaminated property is largely driven by the federal Comprehensive Environmental Response, Compensation and Liability Act of 1980 (“CERCLA” or “Superfund”). CERCLA establishes four categories of parties liable for the release or threat of release of hazardous substances into the environment, including current facility owners or operators, former owners or operators at the time of disposal, those who arrange for hazardous substance disposal at a facility, and those who transport hazardous substances to a facility for disposal. Superfund liability can be severe, as it is retroactive, strict (i.e., regardless of fault), and joint and several. Although the BFPP defense provides a valuable tool to protect against Superfund liability when obtaining contaminated property, the defense does not protect against potential liability under other federal or state environmental statutes. It is also not a defense to claims under other liability schemes such as tort, occupational safety and health laws, or breach of contract. While all of the statutory requirements must be satisfied to support the BFPP defense, the primary objective of environmental due diligence in the U.S. involves performing AAI. In 2005, the U.S. Environmental Protection Agency (“EPA”) published a rule, 40 C.F.R. 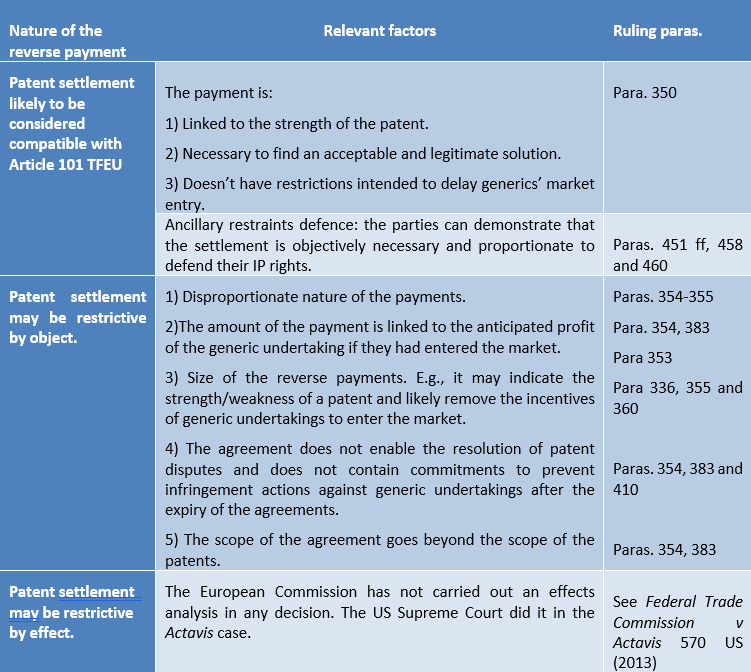 Part 312, establishing the regulatory requirements for AAI. In coordination with EPA, the standard-setting organization ASTM International revised its existing standard for Phase 1 environmental site assessments (“ESAs”) to comport with the Rule. In practice, purchasers seeking to perform AAI do so by following the ASTM Phase 1 standard (currently E1527-13). Phase 1 ESAs are non-invasive property investigations that seek to identify and document recognized environmental conditions (“RECs”) indicating a release or threat of release of a CERCLA hazardous substance (or petroleum, which is not regulated by CERCLA). Unlike Phase 2 investigations, Phase 1 ESAs do not include sampling and analysis of environmental media. In addition to establishing one of the CERCLA BFPP defense conditions, a Phase 1 ESA (perhaps combined with Phase 2 testing) may also provide insight into possible common law and toxic tort risks posed by acquiring property, should the investigations identify contamination that could impact residential neighborhoods, potable water sources, or other sensitive receptors. Most AAI tasks must be undertaken by an “environmental professional” meeting certain qualifications, or someone under his or her direct supervision. Basic Phase 2 elements include interviews with the current site owner, any occupiers likely to handle hazardous substances, state or local government officials, and potentially others; review of historical information sources (e.g., aerial photographs, fire insurance maps, land title records, and building permits) dating back to the earlier of 1940 or the property’s earliest developed use; review of federal, state and local regulatory agency records involving the property and other sites within defined search radii; and visual inspection of the property and of adjoining properties. In addition, the standard calls for certain information from the user of the Phase 1 (typically the prospective purchaser), such as a review of title and judicial records for environmental cleanup liens and activity and use limitations; any specialized knowledge the user may have of the property and surrounding area; and whether the purchase price reflects any discount for contamination. The environmental professional must document the evaluation in a written report containing, among other things, the professional’s opinion as to whether conditions indicative of a release or threatened release exist, and a list of any data gaps and their significance. Although Phase 1 ESAs have become extremely commonplace in environmental due diligence, a few important points are worth noting. First, to satisfy the AAI rule a Phase 1 must be completed no sooner than one year prior to property acquisition, and certain elements must be completed or updated within six months before acquisition. Also, remember that Phase 1 ESAs are designed to identify potential contamination, and do not evaluate other environmental issues (e.g., the presence of asbestos or lead-based paint in buildings, mold damage, or wetlands and other natural constraints on site development) unless expressly added as “non-scope” items. In addition, given increasing scientific knowledge and regulatory concern regarding the potential for certain contaminants (such as those associated with petroleum and chlorinated solvent releases) to volatilize and enter occupied structures in vapor form, a 2013 update to the ASTM Phase 1 standard now requires evaluating the vapor intrusion pathway as part of identifying RECs. Finally, as mentioned above, the BFPP defense requires more than satisfying AAI; the purchaser must meet several post-acquisition conditions as well. When a Phase 1 ESA identifies one or more RECs at a property, the next step often involves performing invasive “Phase 2” testing to confirm the presence and extent of any contamination. Information from Phase 2 ESAs can serve several due diligence purposes, including deciding whether to proceed with or terminate the transaction; identifying post-acquisition tasks to satisfy the BFPP “reasonable steps” condition; allocating environmental responsibility through contract provisions such as purchase price adjustments, indemnities, cleanup obligations, and environmental insurance; developing remediation strategies and cost estimates to obtain liability protection through federal or state voluntary “brownfield” cleanup programs; and identifying natural or other constraints to site development. Given their varying objectives, Phase 2 ESAs, unlike Phase 1 investigations, typically do not follow a single protocol. A Phase 2 investigation may involve one or more of several elements, such as collecting samples of soil, groundwater, soil gas, indoor air, or other environmental media for laboratory analysis; searching for underground tanks, vaults, and other subsurface structures using geophysical techniques; evaluating the presence and extent of environmental conditions inside structures such as asbestos-containing materials, lead-based paint, mold, and radon; and identifying potential site development constraints such as wetlands, endangered species, and cultural or historic resources. To protect their interests, both parties in a real estate or corporate transaction should negotiate access provisions governing the performance of Phase 1 and 2 ESAs during due diligence. These provisions should cover issues including, at a minimum, submission of a work plan for owner approval; permissible entry times, pre-entry notice requirements, and non-interference with ongoing site operations; restoration of any property damage; compliance with applicable law and proper disposal of any investigation-derived waste; provision of split samples, test results, and reports to the site owner; and insurance and indemnification related to liability arising from the investigations. Access provisions should also address confidentiality of environmental due diligence results. Generally, owners require buyers to keep due diligence data and reports confidential, but buyers should seek certain exceptions including the ability to share results with lenders, counsel, and other due diligence team members (who may also be required to keep the results confidential), and to make disclosures if required by law (in which case the owner will want to control the reporting process). Aside from access and confidentiality issues, parties planning to perform Phase 1 and 2 ESAs should keep a few other points in mind. First, although Phase 1 and 2 ESAs can be performed concurrently, it is better to use Phase 1 results to develop the Phase 2 scope. Also, take care when identifying and retaining an environmental consultant for the due diligence team. Phase 1 and 2 investigations can vary significantly in scope and extent, and therefore potential consultants and firms should be evaluated for the necessary experience and skills appropriate to the type of site and anticipated tasks. In addition, carefully review and negotiate consultant proposals regarding cost structure, markup of subcontractor and other expenses, anticipated timing for deliverables, and “boilerplate” terms and conditions such as insurance coverages, indemnity provisions, limits on liability, and confidentiality. In addition to assessing potential site contamination and development constraints, acquisition of an active facility or business requires evaluating the target’s compliance status with environmental regulatory requirements. These evaluations typically include issues such as whether the business or facility holds all permits and other approvals necessary to continue operations; whether these authorizations can or will need to be transferred as part of the transaction; and whether the business or facility currently has any significant noncompliance, or a history of noncompliance, with regulatory requirements or permit conditions (as evidenced by notices of violation, penalty assessments, administrative or judicial orders, consent decrees, etc.). Depending on the type of operation, regulatory programs to evaluate for compliance issues may include, among others, air pollution control, wastewater and stormwater discharges, solid and hazardous waste management, emergency planning and community right-to-know reporting, management of storage tanks, use of pesticides, and maintenance and removal of asbestos-containing building materials. Information on a business or facility’s compliance status may be found by reviewing facility and agency files, interviewing the target’s environmental health and safety personnel, and searching agency on-line databases. In addition to identifying regulatory noncompliance issues, the due diligence effort should also attempt to estimate the potential costs of bringing the business or facility back into compliance. Environmental due diligence in real estate and corporate transactions can be a complex and time-consuming task. To make this process as efficient and productive as possible, tailor the scope of the diligence effort to the type of transaction, the client’s objectives, and the time and resources available to complete the process before closing. Assembling a qualified and experienced team of technical and legal professionals to lead the diligence effort can help ensure that the client goes into a transaction with eyes wide open to potential environmental pitfalls. Venezuela is currently going through a very complex situation in which the climate for doing business has become difficult for all parties involved in any part of the economic process. The regulatory burden for entities doing business in the country is very high, and companies are required to be registered, keep in place records and processes in a vast amount of governmental entities, a fact that requires the commitment of a substantial amount of resources and time for each entity that exists and operates in the country. As a consequence of the foregoing, many businesses that were structured with various legal entities for different reasons, including tax and liability mitigation, have opted to downsize their operations by merging their subsidiaries into one or some few entities, in order to have fewer structures to operate. The reality described above also permeates into the complexities of successfully completing a merger in Venezuela, where a number of filings must be made in order to perform the legal steps required to close a merger. In such regard, the process of completing a merger will require proper organization, planning and will typically last for approximately 6 months before it will be completed. From a legal standpoint, the decision to merge two companies shall be adopted in the shareholders’ meeting, a meeting that would discuss how both entities should be merged. The Articles of Incorporation of the companies often contain special quorum and voting requirements in order to approve a merger, but if the Articles of Incorporation are silent, the decision shall be adopted in a meeting where 75% of the shares representing the total capital is present and with the affirmative vote of at least, half of the shareholders attending the meeting. The companies to be merged shall enter into a “merger agreement” which shall be executed by authorized representatives of both parties. The merger agreement must set forth the terms and conditions of the merger, such as specifications that could lead to the survival of the entity, and conditions that could cease the entities’ existence, as well as any other matter that may be relevant. Even though the law does not specifically require it, commercial registries require that the merger agreement should be notarized. Financial statements of both companies dated on the date of the merger shall be prepared and presented to the commercial registry together with the notarized merger agreement and the shareholders meetings of both companies approving the merger. It is important to point out that the registration processes before the Commercial Registries are frequently delayed for many reasons, including the fact that Commercial Registries often request changes to be made on the documentation that has been presented, to the form in which documents are presented or in the supporting documents that shall be filed. These requirements changes from one Commercial Registry to another. Therefore, the timing of the merger is an important issue and so, it is very crucial to go beforehand to the Commercial Registry with much anticipation as possible, so as to understand the requirements established by the Commercial Registry in which the specific merger documentation will be registered. Once the shareholders meetings are registered in the Commercial Registry or registries the merger agreement shall be published in an authorized legal publication. 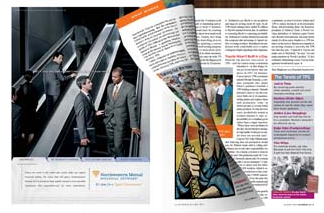 In practice, the shareholders meetings approving the merger are also published. The merger will not be effective until a 3-month period which will be counted from the date on which the publication previously indicated has been made. The Commercial Code establishes that the merger may be closed before such period if evidence of payment of the company’s debts or the approval of all creditors is evidenced. However, this is very unusual since in practice, there are just too many potential creditors for any given company, and the 3-month period is seen in practice as almost mandatory without exception. During the 3-month period indicated before, any creditor can oppose the merger, which if done, will suspend the merger until the suspension is lifted through a definitive judicial decision. Once the 3-month period elapses without any opposition from the creditors of the merging companies, the merger may become effective and the surviving company shall assume all rights and liabilities of the company that ceases to exist. In such manner, most practitioners and authors assume the position that the surviving company is the universal successor of the company which ceases to exist. Once the merger becomes effective, many notices to all kind of governmental entities shall be made. In such regard, the Tax administration shall be notified of the merger within one month from the date the merger became effective. Also, an income tax return shall be filed for the “short” fiscal period of the entity that is extinguished and that will end on the date the entity ceases to exist. In addition, all governmental entities in which the company that ceases to exist is registered (such as the social security administration, apprenticeship programs, housing and other parafiscal entities) shall be notified of the merger so that their records may be properly updated to reflect the surviving entity as successor of the entity that ceased to exist. Another matter that shall be dealt with much care is the labour situation of employees of the company that ceases to exist. In such regard, prior to the merger, a strategy and plan shall be decided and implemented setting forth the steps and timing that will be taken vis a vis the employees of the company that will cease to exist. The company shall determine if it will carry out a procedure of notification of “change of employer” where notices of the change of employer are given to both employees of the company that will cease to exist and labour administrative authorities, indicating that the surviving company shall be the new employer of the employees of the company that will cease to exist. Employees that do not wish to continue as employees of the new surviving company may as well leave the company and request severance payment as if the company terminated them. Article 280 of the Venezuelan Code of Commerce.